Our tubs are light weight and truly protable. 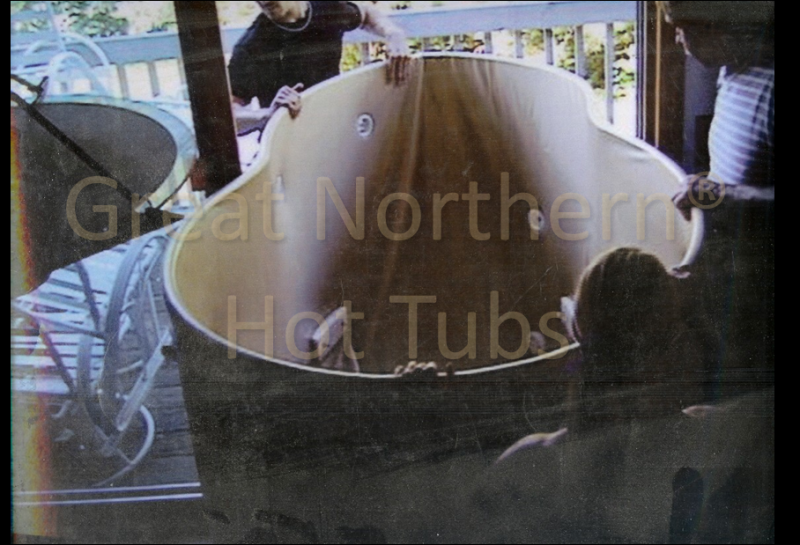 Typically weighing less than 200 pounds dry Great Northern hot tubs are easy to move and, if needed, they ovalize! You can move an ovalized tub inside to outside, through doorways, and down stairwells with just a few people, no fork lifts or cranes needed!